SHAAISTA Nuzhat has done her masters in philosophy on the sociological aspect of Waris Shah's poetry which, according to her, is limited to the story of Heer-Ranjha, an actual happening of the period of Behlol Lodhi in 1484 AD. Much before the birth of Waris Shah in 1717, at least three versions of Heer were written in Persian starting from Akbar's period and another five were written before Waris Shah completed his writing in 1180 AH. The story was and still is very popular among people and the very first available version was written in Punjabi during Akbar's period by Damodar Das, who belonged to Jhang, the hometown of Heer Sial. Before Waris Shah took up the task of writing Heer on the insistence of his friends, at least four other major Punjabi poets had already recreated this story in their own distinct styles. They included, Chiragh Awan ( D.G. Khan), Ali Haider Multani (Toba Tek Singh), Ahmad Gujjar and Shajehan Muqbal. Waris followed the metre of Muqbal and Ahmad Gujjar. There is a difference in detail but the structure of the story is to a large extent common in all these three accounts. Only Damodar Das claimed that the poem was composed in Akbar's period and that the actual event also took place in the same period. Usually, however, it is associated with Behlol Lodhi's period between 1451 and 1489. Irrespective of which period it belonged to, the story was appreciated in the whole of northern India. None of the above mentioned versions of the story offer any comments on the socio-economic conditions prevailing in the Behlol period or the period in which the poets had composed the verse. Waris Shah, on the other hand, has treated the story in the perspective of politics, economy and cultural values loved and lived by the people of his period. Waris Shah was born in 1717 AD and composed his Heer at the age of 60. He was a witness to the devastating invasions of India by Nadir Shah and Ahmad Shah Abdali, the steep decline of the Mughal dynasty, court conspiracies, emergence of the Sikhs in Punjab and the Marhattas in the south and central India, separation and breakaway forces of Nawabs in Bengal, Hyderabad, Owdh, Sindh and Kashmir and the penetration of the British and other European nations in different parts of the country. There was a great political vacuum which was neither filled by the Afghan invaders nor the local chiefs including the Sikhs who were turned into a militant force by the last Guru, Guru Govind Singh. 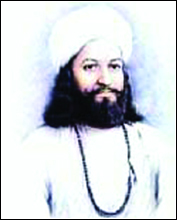 Waris Shah was a craftsman par excellence with a deep knowledge of the psyche of the people suffering under the local and the foreign forces — as was the case with his Urdu contemporary Mir Taqi Mir who accused all the fighting parties including the government of the kings, Marhattas and Sikhs for bringing miseries to the people at large. Mir also wrote the book Zikr-i-Mir in Persian, which presents graphics details of infighting and militant clashes in those times. Mir had seen the wars of succession and the brutalities committed on rivals, because he was employed with the Nawabs and Rajas who were important actors in this gory drama. On the contrary, Waris was not attached with any such authority but he joined the forces of the Nawab of Lahore, Shahnawaz Khan, against Abdali's attack on Lahore. This he recorded in a si-harfi (a poem comprising 30 stanzas) which Shaaista has not referred to in the book. She prefers to say that Waris had no other writing except Heer-Ranjha. Here she forgets the fact that the poet in his Heer had bitterly criticised the foreign invaders including Nadir Shah and Ahmad Shah Abdali along with the Sikhs, the British busy in intrigues in other parts of India and the bad administration of the Mughals and the Pathans under the formers. Waris Shah gives punching remarks about the invaders from Afghanistan. He outrightly condemns Nadir and Abdali who played havoc with the life of the Punjabis. His unqualified condemnation of the foreign invaders was heartily welcomed by the suffering Punjabis, symbolically represented by tormented Heer. Another aspect is that during this turmoil, which also badly affected the socio-economic and cultural values of society, Waris delineated all the cultural customs and traditions which he and the public feared might disappear. The third quality which made Waris an instant success was his bitter criticism of the poor governance, institutional corruption, religious exploitation and the arrogance of the haves and the miseries of the have-nots. Waris was not Marxist but much before him he had discovered the ill of all the ills and forcefully opposed the hegemony of the haves when he said, 'Leave the company of the millionaires and choose your leader among the noble but poor men'. The way the author has dealt with the above mentioned aspects of the society is impressive but her assertion that the details of the story of Heer given in the Persian manuscript attributed to Murad Baloch, dated 12 Rajab, 886 AH, are correct, is out of place because the two manuscripts she has taken data from and another doctoral thesis by Talib Bukhari are definitely all fake. There was no use of do-chashmi hey and chhoti yay (Urdu alphabets) before the arrival of the British. However, both the letters have somehow been used by the person who had prepared these manuscripts, the original versions of which were neither seen by the guides appointed by the Punjab University nor by Shaaista herself who can be spared of any bungling. Otherwise a well-produced publication, it suffers on account of proof reading errors.